Newspaper currently offers 15 different Header Styles, each with its own unique design. Every layout comes with a logo spot which powers up your web identity and a custom ad spot to maximize your income. Important: On every style, you can change the colors, opacity, and fonts. If you have a background set on the current page or site-wide, the headers will adapt to give you the best result. 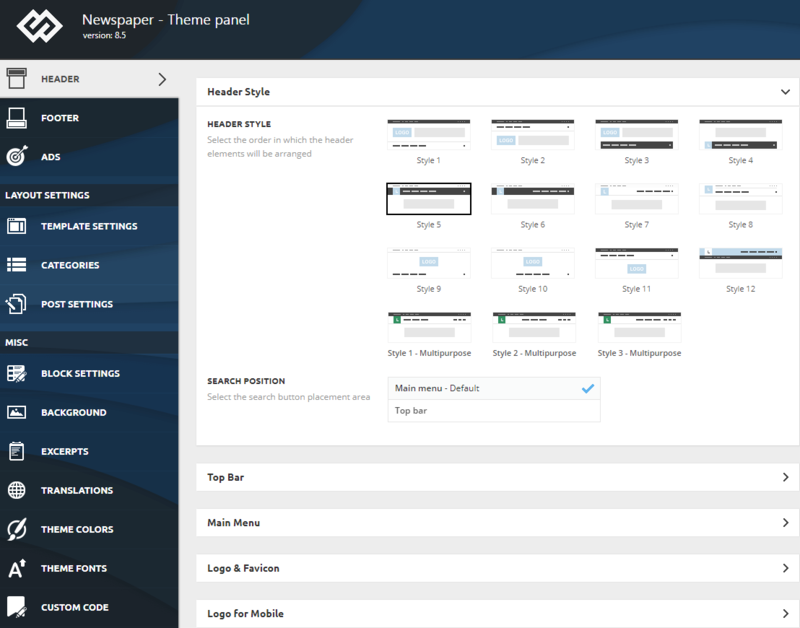 Step 1 – Navigate to Newspaper > Theme panel > Header style to access the header options. You will see 7 sections. Step 2 – Expand the Header Style section and select the desired Header template. All options will automatically load based on your selection.